Adam®Delta servo motor encoder continuous flex cable ASD-B2-EN0003-G is use for Delta servo B2 series. 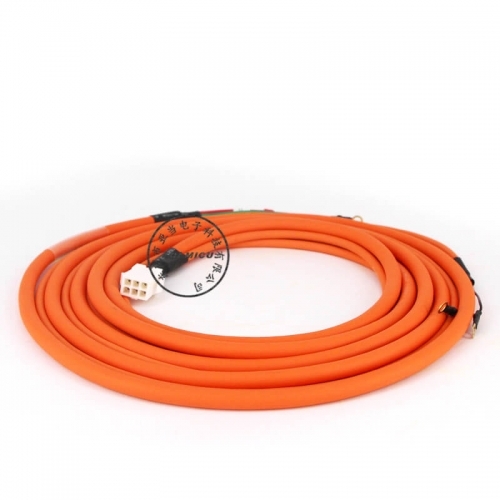 This encoder cable pass the UL VW-1 combustion test. And in order to process, through the mark to distinguish the wire’s color. 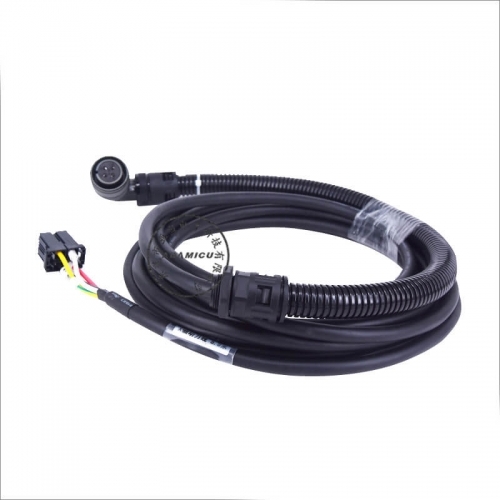 What’s more this is professional made cable directly from industrial automation factory, not the home made version. It’s a military style connector, and the wire get to shielding more than 90%. 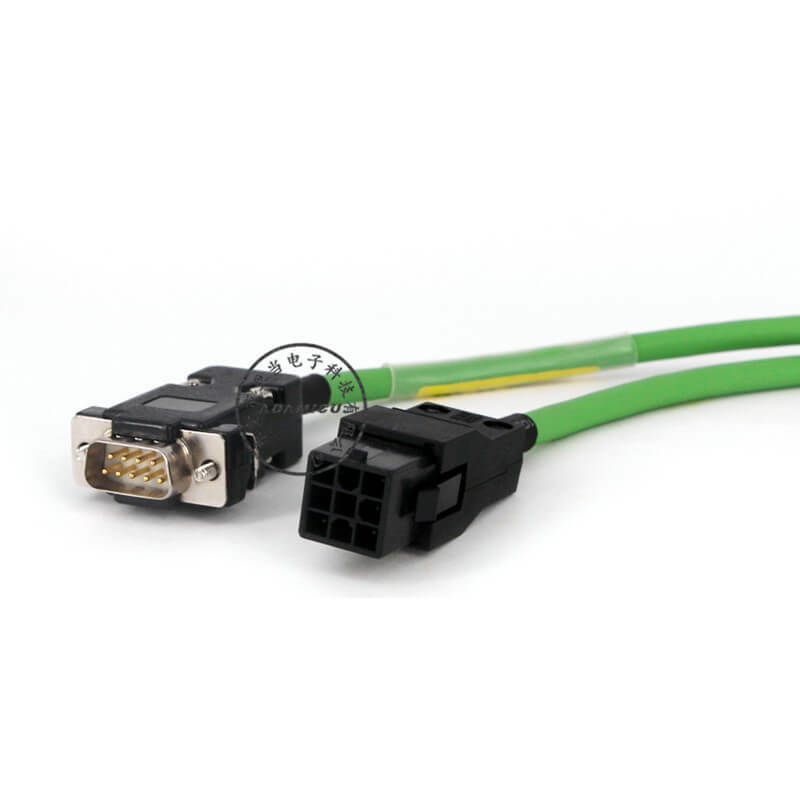 Than what we offer here is a set for power (UVW) and encoder cables. These are assembled and tested on our test bench. 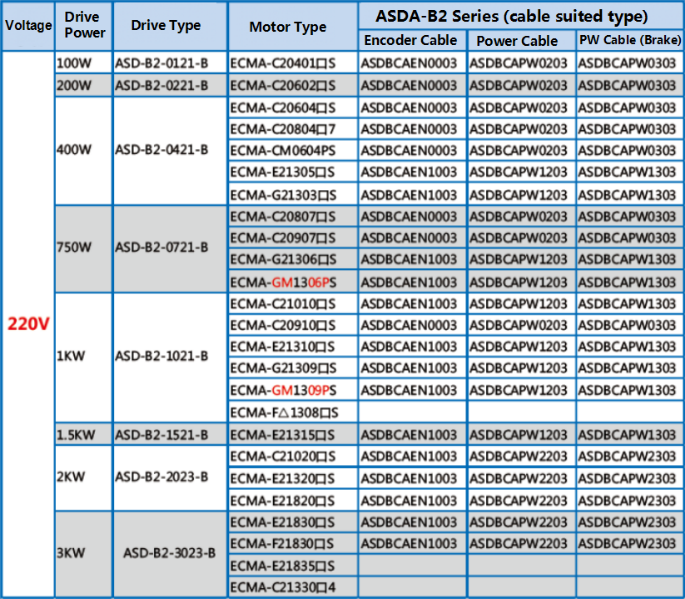 Cabling is a delicate issue with AC servo systems. 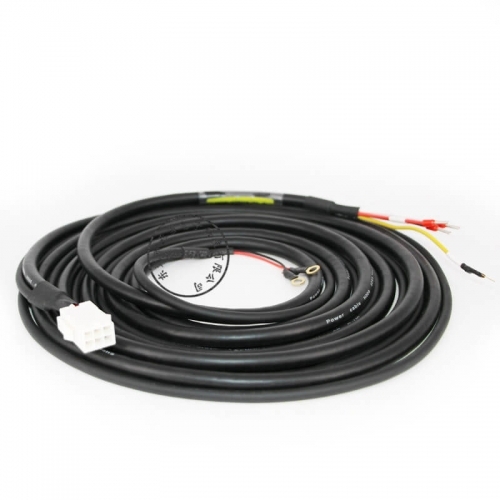 We prefer to sell the tested cables, since often errors occur when clients make their own cables. 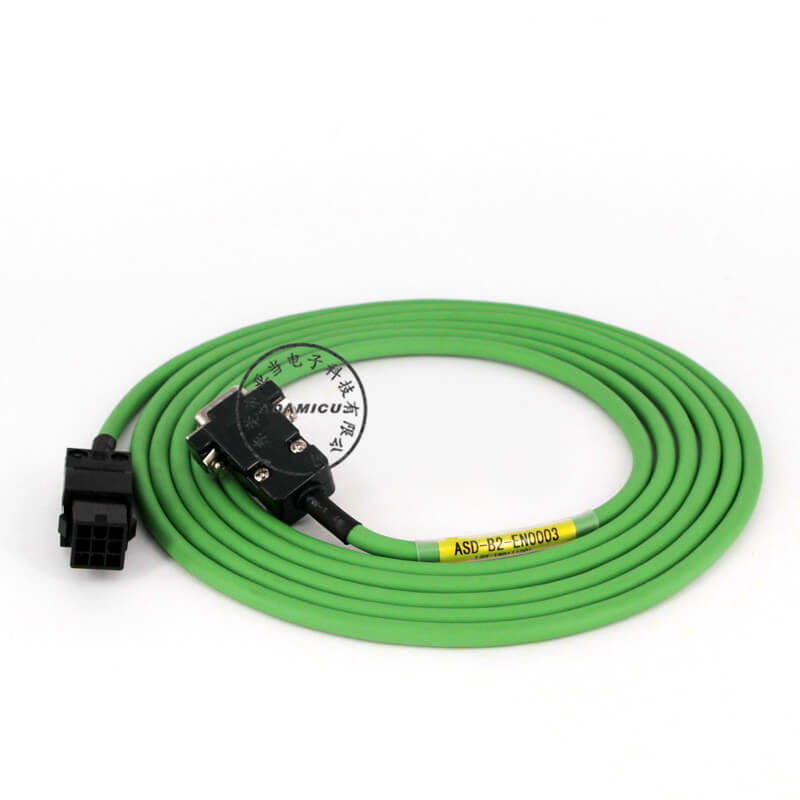 It is however possible to buy the separate connectors and make your own cables.